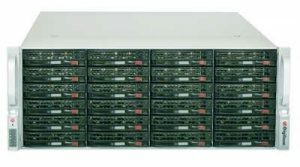 Digiliant Storage Server Division has sold their High Performance High Quality Enterprise Storage Server Systems in 48 of the 50 States across the U.S.! Compare our system prices with the competitions and ask yourself WHY am I spending so much more of my BUDGET for the same quality of system solution we could get from Digiliant?? Give me a call and I'll explain the Digiliant difference and what makes us so popular with our growing customer base and SAVE you more money for more system! The call is Free the opportunity is major price savings for Top Tier Quality Storage System from Digiliant! 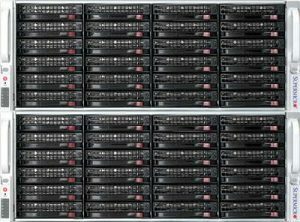 Digiliant LLC, based in Okemos, MI, provide customized 12GB/s Enterprise NAS/iSCSI SAN/SSD systems. Looking for Tier 1 system solution at a Tier 4 price? With our network storage device solutions, the company can meet the demands of the challenging networking requirements that face corporate clients. It can assist corporate clients from the conception of a project until it completes the installation. The company has clients ranging from the smallest business up to larger corporations, government and institutions. It can meet the SAN demands of educational institutions, military installations and governmental contractors. The networking solutions offered include 12GB/s Enterprise NAS systems and iSCSI SAN/SSD/JBOD solutions. These products are powered by Red Hat, Inc., Open-E, Inc. and CentOS. The company also utilizes the Windows-based Storage Server 2016. By offering both the Linux and Windows based systems, it can provide the flexibility and cost savings that corporate clients are demanding. Both methods of Enterprise storage solutions provided by the company will deliver options for clients because of the following reasons. Capacity - Up to 972TB of storage capacity is available which should meet the demanding needs and allow for expansion. Fast deployment - Less than 15 minutes is necessary to deploy the technology that is used by both network storage methods offered by the firm. The simplicity of the technology and software helps to make this a point when being considered by clients. Increased efficiency - Better performance and faster networks can be achieved by clients using the company's solutions. Security - The Enterprise network storage solutions feature robust security. Basic security measures are employed by the company such as virus protection and backups. Other options include hot-swappable drives and RAID file protection. Maintenance - With the Enterprise storage solutions offered by the company, there is an expectation of low maintenance and downtime. This translates into cost savings for clients and more efficient networks. Limited lifetime support is offered on all systems. The services that the firm offers don't conclude once a company's network is up and running. It strives to nurture the relationship that continues through the ongoing support and services that they are capable of providing to address the needs of a business no matter how large or small. The firm strives to offer long-term support to their clients in order to build relationships are necessary to ensure that clients are happy with the company's network storage products and services. Enterprise storage servers are built on the Windows Storage Server 2016 X64 and Linux CentOS, Red Hat and Open-E OS platforms. All systems are 'custom' built and pre-setup ready to go out of the box. No obligation quotes are available per request. Offering Windows-based 12GB/s Enterprise NAS/SAN (iSCSI), SSD and JBOD systems technology is, according to Tom Tarasiewicz, Senior Account Manager, Digiliant, in keeping with the company's overall commitment to staying on the cutting edge with current products and giving their customers effective solutions for their storage needs; demands that are increasing for most businesses by up to 30%-35% per year. Budgets are tight and we meet those requirements. "We are a company that is very much customer driven by design" says Tarasiewicz. "Our customers come to us with individual storage needs and our goal is always to provide them with specific, customized solutions to meet those needs with one of best cost effective priced systems in the market today. The Enterprise SSD along with standard Enterprise HDD technology provides our clients with the power and versatility they demand." The company provides customized, scalable, non-proprietary network storage enterprise solutions for SMBs, large corporations, educational and government facilities, as well as the military and their contractors across the U.S. It incorporates over 25 years of computer hardware support and custom server designs to create NAS/SAN iSCSI/SSD/JBOD Enterprise solutions - for both Windows Storage Server 2016 and Linux Solutions.